If you have been issued with a traffic infringement, please visit our traffic infringements page for payment options, viewing infringement images and further information.. NOTE: Only for incidents in Western Australia. If the incident occurred within the last 30 minutes, do not complete this form. Please call police on 131 444. NOTE: Once your form is submitted, you will receive a submission number beginning in “TCF”. This is not an incident report number, but advice that your report has been successfully submitted. You will receive an incident report number via a separate email. The purpose of this form is to report all traffic crashes involving injury or property damage that occurred in Western Australia. This form opens within the Western Australian Government online Crash Reporting Facility, as pictured. Use this form to change your drivers licence and vehicle registration details. Use this form to change your address details. Ensure that Part B instructions are adhered to as notification time lines vary according to event. If your vehicle has been impounded for an unauthorised driving offence, you will incur daily costs until the vehicle is collected. These applications do not apply to reckless driving offences. If the vehicle is not collected at the conclusion of the impoundment period, daily costs will continue to accumulate until the Commissioner of Police has the authority to dispose of the uncollected vehicle. The driver responsible for the impounding offence will further be liable to pay the cost associated with disposing of that vehicle. If the responsible person for a vehicle used in the commission of an unauthorised impounding offence has no intention of collecting the vehicle at the conclusion of the impoundment period, an application can be made to the Commissioner of Police in accordance with section 80JA of the Road Traffic Amendment Act 1974 to dispose of the vehicle early. An application requesting the Commissioner of Police to sell an impounded vehicle can only be made once 48 hours has passed since the vehicle has been impounded. All parties with an interest in the vehicle must agree and sign the application form and the responsible person for the vehicle must complete the statutory declaration portion on the form. The proceeds from the sale of the vehicle are to pay for expenses incurred by WA Police. If there are any funds remaining, this will be distributed to the interested parties based on their percentage of interest as allocated on the application form. If the originating impounding charge is withdrawn or dismissed after the vehicle has been sold, the sale cost will be paid back to the interested parties based on their percentage of interest. An application form authorising the Commissioner to dispose of an impounded vehicle early can be downloaded from this website or obtained from any police station. The completed application form is to then be forwarded to the WA Police Vehicle Impoundment Unit via facsimile on 9373 2443 for assessment. Application for police assistance with abnormal loads. Use this form to apply for a permit to hold a Public Meeting and/or Procession. Use this form to apply for the suspension of the Road Traffic Code Regulations/Road Traffic Act. Attach any other documents required for your application to the email before you send it. If the Commissioner is satisfied that each person who has an interest in an impounded vehicle has, in accordance with subsection (4), consented to the Commissioner doing so, the Commissioner, on behalf of those persons, may sell or otherwise dispose of the vehicle. WA Police can dispose of an impounded vehicle before the scheduled release date if the registered owner completes an 80JA application. Failure to attach the correct information will result in your application not being processed. A request for further information will be sent to the applicant. The following is an outline of the type of information required to progress your application. Complete the 80JA application form. Have your signature witnessed (list available on the last page of your application form). Your signature must not be witnessed by a staff member from WA Police (conflict of interest). If you require property from within the vehicle please complete a Property Release form. The storage costs will cease when WA Police receive your completed application form. The driver of the vehicle will be invoiced for any outstanding towage and storage costs associated with the impounding of your vehicle. ALTHOUGH POLICE OFFICERS AND PUBLIC SERVICE STAFF WORKING FOR WA POLICE ARE ORDINARILY AUTHORISED TO WITNESS A STATUTORY DECLARATION, IT IS WA POLICE POLICY THAT NEITHER POLICE OFFICERS NOR POLICE STAFF WILL WITNESS A STATUTORY DECLARATION FOR APPLICATIONS UNDER SECTION 80JA OF THE ROAD TRAFFIC ACT 1974, REQUESTING THE COMMISSIONER OF POLICE TO SELL A VEHICLE IMPOUNDED WITH CONSENT OF OWNER/S. Reminder: You must attach or provide 100 points of ID for all persons listed on this application. Find out what constitutes 100 points of ID. Uncollected vehicle has the meaning given in section 80J(1). If, before the end of the period referred to in subsection (2)(a), the Commissioner of Police is satisfied that it is unlikely that a person will be charged with committing the offence for which the uncollected vehicle was impounded, the former owner of the vehicle, or item, may be paid compensation. A liability that the State has under subsection (2) in relation to an uncollected vehicle, or item, is reduced by an amount paid under subsection (3) in relation to the vehicle or item. Any appeal against the conviction is determined and the conviction is not quashed or overturned. b. If a person has been charged with the offence for which the vehicle was impounded, the person is acquitted of the offence or the charge is withdrawn or dismissed. For an item, is limited to the market value of the item at the time the vehicle was impounded. If no such agreement exists, the market value of the vehicle or item as determined by a court of competent jurisdiction. The following information must be supplied when completing your 80M compensation application form. Failure to attach sufficient information will result in your application not being processed. A request for further information will be sent to the applicant. The following information is required to progress your application. List of items within the vehicle. Receipts for the items within the vehicle if available. The suspected use of the motor cycle occurred without the knowledge and acquiescence of the person. The claim is to be in an approved form. If the Commissioner accepts the claim, the Commissioner must, as soon as practicable, ensure that the motor cycle is returned to the claimant. If the Commissioner rejects a claim, the Commissioner must, as soon as practicable, give a written notice of the rejection to the person making the claim. WA Police can only release an impounded vehicle before the scheduled release date if it can be demonstrated (proven) by the applicant that the impounded vehicle was subject to a claim of right to possession. The following information must be supplied when completing your Claim of Right to Possession application form.Failure to attach the correct information will result in your application not being processed. A request for further information will be sent to the applicant. WA Police can only release an impounded vehicle before the scheduled release date if it can be demonstrated (proven) by the applicant that exceptional hardship will be suffered by the applicant. The following information must be supplied when completing your Early Release application form. Provide information (a statement) that outlines how a refusal to grant your application and release your vehicle would cause exceptional hardship to you and your family. This information should include information regarding your work and the financial impact as outlined below. Documents supporting the accuracy of the claims in your statement must also be provided. WA Police can only release an impounded vehicle before the scheduled release date if it can be demonstrated (proven) by the applicant that the impounded vehicle was subject to a formal agreement to hire the vehicle (Hire Vehicle) from a registered hire company. The following information must be supplied when completing your Early Release application form. Who the rental agreement was with. Payment for the towage and storage costs will be paid by the rental company before the vehicle is released. WA Police can only release an impounded vehicle before the scheduled release date if it can be demonstrated (proven) by the applicant that the impounded vehicle was subject to an incorrect impound, the applicant must present clear evidence that their vehicle should not have been impounded by WA Police. The following information must be supplied when completing your Early Release application form. Provide information (a statement) that explains why the vehicle was incorrectly impounded. Please attach all documents that will assist in your application to have the vehicle returned. WA Police can only release an impounded vehicle before the scheduled release date if it can be demonstrated (proven) by the applicant that the impounded vehicle was subject to a stolen vehicle report, the incident must be investigated by WA Police and simply reporting a vehicle stolen is not a reason to release a vehicle early. The following information must be supplied when completing your Early Release application form. Location (police station) the vehicle was reported stolen. The date your witness statement was taken by a police officer. The incident report (IR) number for the stolen vehicle. If you have any links (friend or relative) to the person driving the vehicle. Attach any documents to prove that the vehicle was stolen. Please be aware that WA Police may wait until the investigating officer supplies further information to substantiate (prove) the stolen vehicle claim, this may delay the approval to release the vehicle. Impounded vehicles can be released if a suitable substitute vehicle is provided by either the driver or owner of the impounded vehicle. The substituted vehicle must be of equal or a higher value, licenced and road worthy. Included with the details of the vehicle such as registration number, owners name and address and proof of licence must be included with a detailed explanation required as to why a substitution is required. The following information must be supplied when completing your Early Release application form. Provide information (a statement) that identifies the vehicle that you would like to substitute. Please attach all documents that will assist in your application to have the vehicle substituted. Substitute vehicle make, model and year. Photos from all sides and the motor and interior of the substitute vehicle. Previous service history may be required. WA Police can only release an impounded vehicle before the scheduled release date if it can be demonstrated (proven) by the applicant that the impounded vehicle is a registered Taxi. The following information must be supplied when completing your Early Release application form. Owner of the taxi plates. Drivers licence number of the driver. Are licence checks completed on all drivers? 1. Only the OWNER of the impounded vehicle can enter into a Time Payment Plan agreement with the Western Australian Police. Owners must make their application within 14 days of the schedule release date of their vehicle to be eligible for a payment plan. The Applicant must be present when collecting the vehicle from the impound yard, as the applicant will be required to sign the application form for when the final costs are updated. All costs along with any additional storage rates for the impounded vehicle can be obtained by contacting the storage yard. 2. Upon approval of the application, the applicant will be financially liable for the total costs at collection (A) (refer to Application form). An approved application will remain valid for 7 DAYS only from the approval date; after this period a new application will be required. The applicant will be advised by email, SMS or telephone when the application has been approved or declined. Should the applicant later wish to make any changes to an application it will be cancelled and the submission of a new application will be required. An applicant will be ineligible to apply for a payment plan if there are any existing outstanding payment plans or fines owed by the applicant (the applicant can be on a payment plan for the outstanding fines). 3. A Minimum Deposit of 60% of the Total Cost at collection IS REQUIRED. The Balance of Total cost at Collection “A” less Deposit “B” (refer to Application form) will be made by six (6) fortnightly payments; this will be calculated for equal amounts to be paid over the chosen period. 4. If the applicant is not in a financial position to recover their vehicle they may wish to consider submitting an 80JA requesting the Commissioner of Police to sell an impounded vehicle. On receipt of an approved 80JA application no further storage costs will be incurred. 5. A payment plan is NOT PERMITTED if the vehicle is released as a result of an Early Release Application being approved. A condition of early release will be that payment for impound costs is made in full (Section 79E Road Traffic Act 1974). Notification is made of the approval. The Authorisation for Impounded Vehicle Release form is sent to the Storage yard by WA Police. The Applicant is to book an appointment with the Storage yard and arrange for the collection of the vehicle. The deposit is to be paid at the Storage yard upon collection. 100 points of identification must be produced before the vehicle will be released. 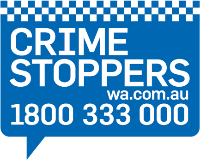 Please refer to the WA Police web site at www.police.wa.gov.au for further information. The outstanding balance for the impound cost, the applicant will have to wait between 6 to 12 weeks to receive the final tax invoice from WA Police for further payment to be made. WA Police can only release property from an impounded vehicle if it can be demonstrated (proven) by the applicant that they are the owner of the vehicle. The following information must be supplied when completing your Property Release application form. Please be aware that anything attached (secured) to the vehicle will not be removed, it must be sold or destroyed with the vehicle. (Excluding Alcohol Interlock devices fitted in accordance with the Road Traffic (Authorisation to Drive) Act 2008). No charge of committing the offence for which the vehicle was impounded is laid during the period of one year after the day on which the offence is suspected to have been committed. The person who paid for the towage and storage costs would be eligible for a full refund of those costs. Name of the person who paid for the towage and storage costs. Contact details of the person who paid the towage and storage costs. Bank account details of the person who paid the towage and storage costs. WA Police will release an impounded vehicle on or after the scheduled release date, the registered owner of the vehicle is the only person that can collect the impounded vehicle from the WA Police contractor. The following information must be supplied when completing your Release application form. If you require someone else to collect the vehicle on your behalf you can nominate them on the bottom of the application and provide proof of their identification. 100 points of identification to the WA Police contractor. Email the release form to the Vehicle Impound Unit. Include identification of the authorised person to collect your vehicle if required. Payment of all towage and storage cost associated with the vehicle impound. 100 points of identification must be produced before the vehicle will be released, please refer to the Vehicle Impound section of this website for information. Note: Photo identification must be included in the 100 points. A vehicle will not be released unless photo identification is supplied, if you are unable to produce photo ID you must attend your local Police station for a stamped release form. Access information and advice about vehicle impounds including impound periods, qualifying offences and Road Traffic Act information. If you have been advised at the time of calling police to complete a Fuel Drive-off Reporting Pack, please download and complete before delivering to your local police station. If you have been advised at the time of calling police to complete an Overdue Rental Motor Vehicle Reporting Pack, please download and complete before delivering to your local police station.